At Cornerstone Dental, as an Okotoks Family Dentist, we know that the Oral Health of you and your family is an important factor in overall health. Check your gums. Look for red, shiny, puffy, sore or sensitive gums; bleeding when you brush and floss; bad breath that won’t go away..
Don’t smoke. If you smoke, talk to your dentist today about how tobacco is affecting your oral heath and appearance. Tobacco is a major cause of tooth loss through gum disease. Smoking can lead to serious problems like oral cancer. See your dentist regularly. Regular check-ups and professional cleanings are the best way to prevent problems and unnecessary expense. Don’t wait until it hurts. Cornerstone Dental and his team can provide family dentistry to help you identify and address all your oral health needs. The entire Cornerstone Dental team are passionate about family dentistry and helping to provide you with the dental health, care and education they need – all for a great smile and a lifetime of dental health! One of our primary services is Hygiene. With a qualified Preventative Care Team in place, we are able to provide our clients who are looking for fast and efficient service with the Hygienic care that they need in the short time they have given their busy schedules. Our Dental Hygienists take many advanced training courses on hygiene treatment. They are very gentle when dealing with adults and children who are experiencing periodontal disease. 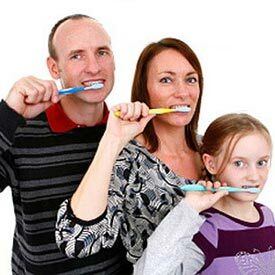 Call Cornerstone Dental at (403) 995-1800 to request your Family Dentistry appointment today.